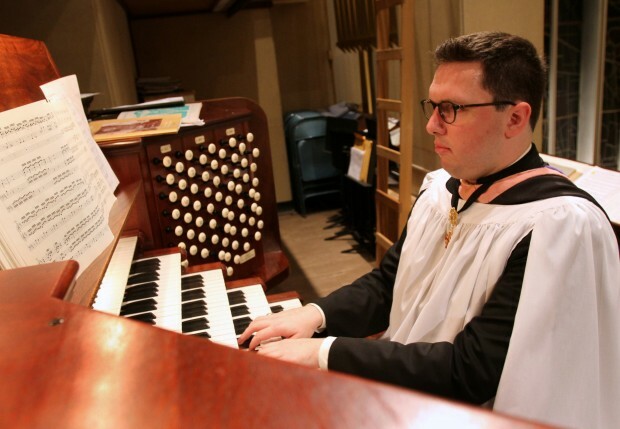 NEW YORK (CNS) — If music conservatories are producing a bumper crop of organ performance graduates, why can’t the parish down the street get a substitute organist for the 10 a.m. Mass? There’s no single answer, but liturgical musicians who spoke with Catholic News Service attribute it to parish finances, cultural changes and the pastor’s interest in music. If there is a music director, he or she is typically also an organist, Viserta said. The Second Vatican Council gave the role of music in worship a huge boost. In its 1963 Constitution on the Sacred Liturgy, the council affirmed music is an integral part of the liturgy. It called for the congregation’s active participation at Mass through musical elements including acclamations, responses, psalmody, antiphons and songs. As parishes heeded the call to incorporate more music, many moved away from traditional organ pieces to contemporary music played on a variety of instruments. The results varied in quality and mirrored cultural changes in society and the church, according to Paul J. Murray, music director, organist and liturgy coordinator at the Church of the Holy Family in Manhattan. Describing liturgical music of the 1960s and 1970s, Father Robert J. Robbins scoffed, “They threw out the baby with the bath water. There was no reference to anything except bluegrass.” Father Robbins, director of the New York archdiocesan Community Outreach Office, is the former longtime pastor at Holy Family and the man who hired Murray. “In the last 50 years, there has been enormous growth in the quality, amount, leadership and format of music in liturgy,” added McMahon, an organist. He said the music education of “ordinary people” is headed in the wrong direction, as evidenced by what he called the “tragic” elimination of music classes in some public schools — resulting in a huge problem in forming people for liturgy. The musicians interviewed said liturgical music ministry is a vocation. Some discover it in themselves, others are led to it. All require training and mentorship. Viserta switched gears in college, tucking away a commercial pilot’s license to concentrate on studying the church music he played in high school. He realized he wanted a career that would make him happy. The Catholic University of America, Duquesne and Yale universities, the University of Notre Dame and St. John’s University in Collegeville, Minn., are among the schools that offer degree programs to train church musicians. The National Association of Pastoral Musicians, the Church Music Association of America and the American Guild of Organists promote liturgical music and the development of its practitioners. Christopher J. Ferraro, music director at Christ the King Parish in Commack, N.Y., developed a liturgical music institute for the Rockville Centre Diocese. It has become an annual weeklong event, including liturgical classes, music instrumentation and spiritual formation. “Church musicians need formation and ongoing training. Every professional goes for updating. I wouldn’t trust myself to the care of a doctor who never went back to study after graduating from medical school,” Ferraro said. Pastoral support and parish economics are significant factors in staffing liturgical music posts. “Music ministry, as important as it is, is kind of an afterthought in a lot of parishes,” Viserta said. “Having a pastor who’s interested is essential to the success of a church music program. It’s really the life force of the program,” Murray said. Similarly, he and Father Robbins said a change in pastors often means that the music director is out of a job within one year. “It’s a real problem. There’s no stability,” Murray said. There is no national directive on liturgical music or universal agreement on salaries and stipends, although diocesan music commissions and worship offices provide guidelines to parishes and the professional organizations recommend pay scales based on training, experience and levels of responsibility. Plus, “the whole musical landscape has changed and organ music is taking it on the chin,” McMahon said. “Mainstream music is contemporary and doesn’t require the use of an organ,” Pascal said. Growing Hispanic and African Catholic congregations do not have pipe organ music as part of their culture. I agree with the above writer that it’s purely a matter of priorities. I’ve been a church organist for over 40 years and have seen this time and time again. There always seems to be money for a glitzy new sound system, parking lot re-paving, new commercial-grade kitchen equipment in the parish hall, etc., etc., etc. By a very wide margin, the vast majority of the time organs and organists’ salaries take the last position of priority in churches’ annual budgets. A well-researched overview, but I am disappointed by the lack of conclusion or criticism within this article. A major, glaring point conspicuously missing from the reasons why many parishes are not “blessed with the budget” for an organist: most of the time, it is simply a matter of preference and willingness to pay a professional salary. Many churches complain they cannot find an organist for a 10 a.m. Mass on Sunday, but what is failed mentioning is because they [often] want to pay $50 for the service. An abundant supply not matching up with an equal demand cannot be dismissed completely due to culture. There are far fewer organ majors in graduating in the U.S. [down to 237 in 2006 from earlier highs of 331 in 2003 and over 400 in the late 1980s] than there are jobs. The supply is far outpaced by the need, but the real problem is that it is a career which is not financially feasible for most people. Few can find full time employment as an organist/music director, so less enter the market as a result. Salaries have not kept pace with the growing cost of living for the past 50 years.